Below is an interactive pathway illustration showing what to expect along the journey to starting a Good News Club – from prayerful beginnings to the joyful celebration of a new club opening its doors! 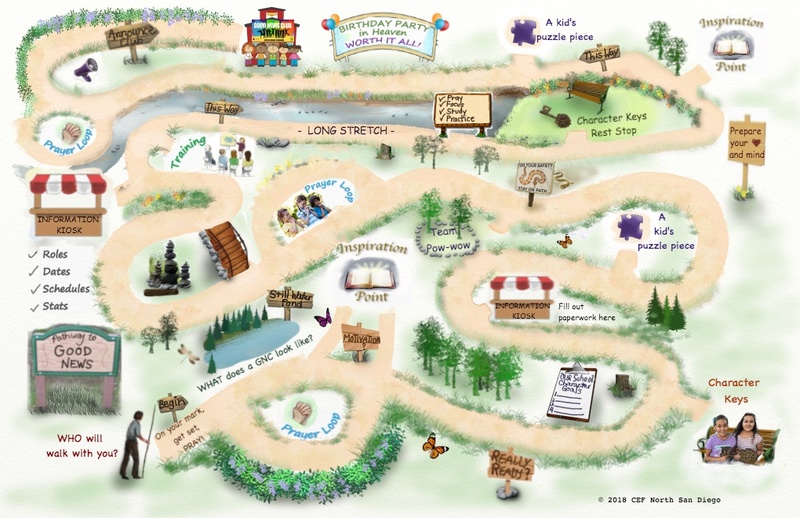 Click on the different locations within the pathway to learn more (Inspiration Point, Character Keys, Kids’ Puzzle Piece, Information Kiosk, Prayer Loop). Click here for a direct link to the Pathway text in the GNC Team Handbook.